Delicious fresh produce is abundant at farmer’s markets and grocery stores this time of year. This Brown Rice Pilaf with Squash and Chicken recipe makes use of the summer squash and zucchini that are in season right now. Feel free to substitute your favorite in-season summer veggies for the squash if you prefer! 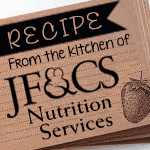 Nutrition Services provides recipes for clients, community partners, and the general public. Recipes cost $2.50 or less per serving and meet nutrition guidelines consistent with the 2010 Dietary Guidelines for Americans. Visit the Nutrition Services recipe page or sign up to receive the recipe of the month in your inbox.